A title or Scriptural reference for the Tribulation. It refers to the last seven years of the seventy weeks of years (or 490 years) prophesied concerning the nation Israel in Daniel 9:24-27. The seventy weeks of years concerns God’s program for the nation beginning with the time of Daniel and extending to the second advent of Christ. The first sixty-nine weeks (483 years) were from 445 BC to the time of Christ’s triumphal entry into Jerusalem (29 AD). 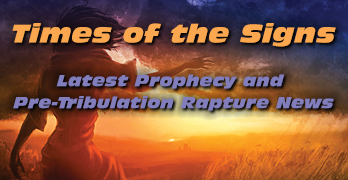 The last week (seven years) is yet to be fulfilled and can’t be until the fullness of the Gentiles is complete and the Church is removed by means of the Rapture. It will begin with the signing of the peace treaty with Israel by the prince that will come, the final world ruler who rises out of the revived Roman empire (Dan. 9:26-27).